Maxis are a must have for the summer of 2016. Put your trust in any kind of maxi and you’re good to go! The charm of a maxi lies in the way you carry it. Today, we’ve come up some easy peasy ways to spice up your maxi. Get to know how you can wear the same maxi twice but make it look like a completely new one. Accessories have the power to transform your outfit from average to making every girl in the room envious. 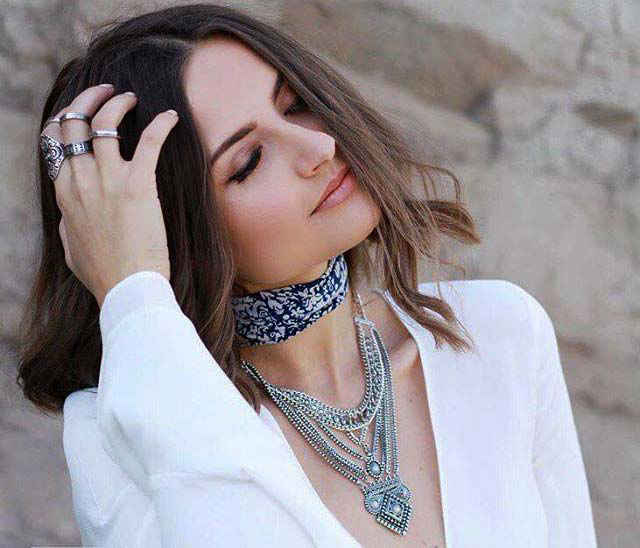 If the maxi is plain, you can go with a statement neck piece or dangler earrings. These accessories have the power to make you look simple yet elegant. And the best part is, you can play around with your accessories and create several new outfits. However, If you’re going for a casual outing, you can even wear a hat with your maxi to make it look less formal. This trick works best in creating new looks everyday. Wear any crop top over your maxi to make your maxi look brand new. Every time you can pair a different crop top to go with the maxi and by doing this, your maxi becomes a real investment. This involves a lot of work but a comfortable look isn’t going to win you any style points! Overcoats or capes can look absolutely chic with maxis. These layers would make your maxi look flowy and will definitely catch attention. You can also go with leather or denim jackets to give that edgy, cool and casual look to your outfit. And if you are one of those fashion frenzied people who is always up for experimenting, then you can try wearing pants underneath your maxis that have slits. Don’t want to look too tacky in a maxi? Then try this trick! Wear a white shirt or a turtleneck under your maxi and give the maxi a new definition. Collars and turtlenecks will give a classy and formal look to your outfit. Roll up the sleeves of your maxi if you’re wearing a full sleeves shirt. You can pair it with nerdy specs, light neckchains or even chokers if you’re in the mood to accessorize. Some maxis are so graceful that you don’t need to add anything to make them look better. If the maxi is plain and you feel it looks good without anything, then go ahead with your instinct and don’t overdo it. Sometimes, maxi itself does the magic. With a perfect hairdo, heels and a clutch in a settling color, you’re good to rock any party.